Refresh the page if kinja scared away the links. Even if it doesn't work, I'm sure it wouldn't be hard to put some swivels on top and a lock on the bottom. If I had to guess I'd say that the exterior is still accessible but there aren't any pictures that show this side of the building. I feel like I don't have the right kind of car to keep in my living room though. What IS the right car..? I'm thinking... A Jag. Maybe an E30. Datsun 510? Help me out Oppo. This one is pretty neat as well. Check out that kitchen!! Another great one, and one of the cheapest options I’ve found so far. What is it about this style that I find so freakin’ appealing? Now when I look at standard Craftsman homes or “luxury” new construction I get sad. 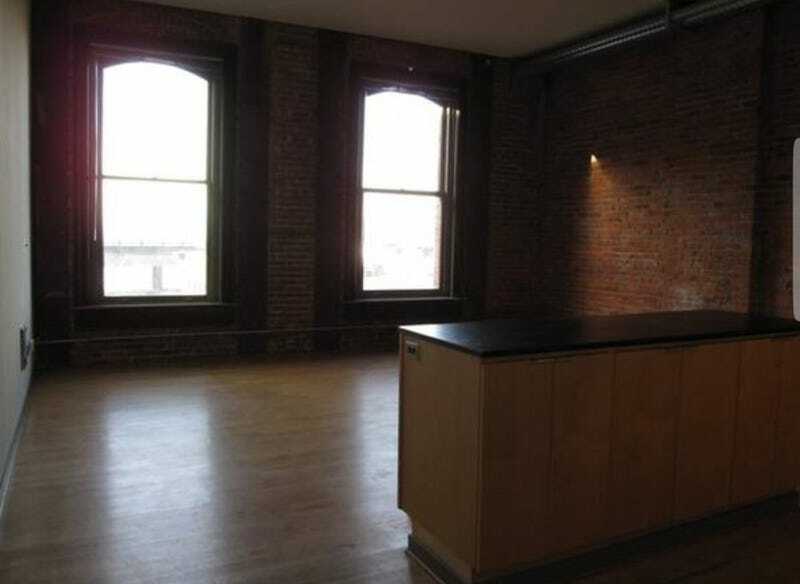 The industrial loft has stolen my heart.